Revealing a little bit of her own story, Bernice has been telling stories through her work with a sense of humour, play and wit. 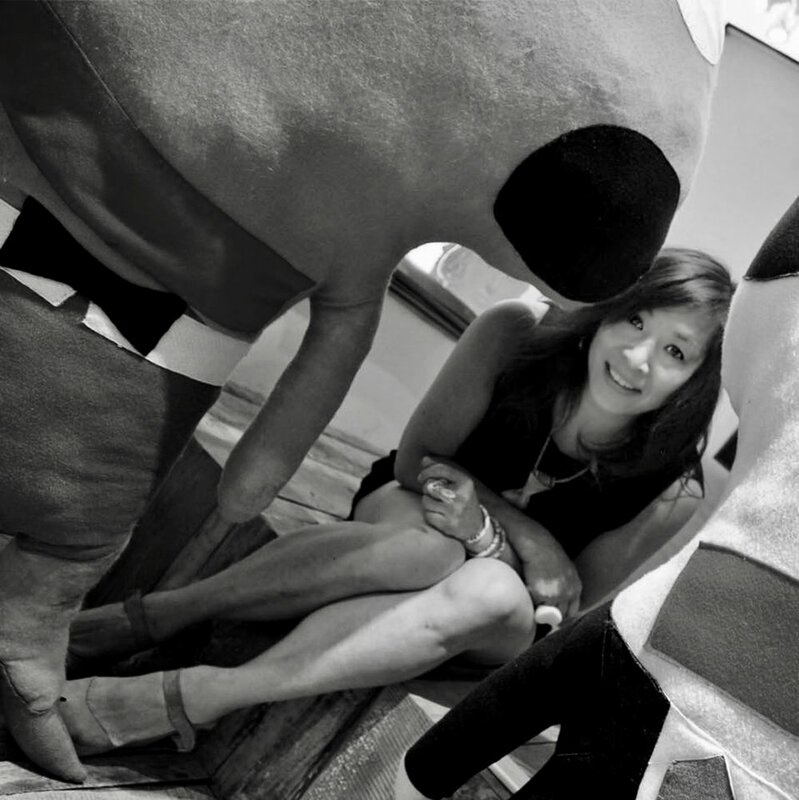 Born and raised in Toronto, Bernice Lum has about 50 books published, while continuing her commercial work with clients in the UK, North America, Korea and Japan. Her first two books, ’12 steps to heaven’ and ‘more steps to heaven’ sold over 150,000 copies worldwide combined. Her series "Not for Bowling Pins", containing stories within every pin, is both a diary and an homage to her brother and her father. In 1988 she decided to spread her wings further and fly to London, England. While there, she freelanced for numerous design consultants including Addison Worldwide, Michael Peters, Wolff Olins, Newell and Sorrell and it is also there that she gave up her design career and began her illustration career. Bernice Lum has been telling stories through her work by revealing a little bit of her story through a sense of humour, play and wit. Born in 1963, bowling and Wednesday evening drives to Dairy Queen were a weekly event for the family. Even her older brother was born while her father was playing in the finals of a bowling tournament which became the inspiration to her new series. "Not for Bowling Pins" is a diary of stories within every pin, and a body of work that pays homage to her late brother and father.